It’s difficult not to be excited about Bell Let’s Talk. Last week’s event set a fundraising record. Pause for a moment and appreciate how far we have traveled: a major Canadian corporation is promoting mental health awareness, raising millions of dollars in the process, and gathering praise from many, including the Prime Minister. The decline of stigma is seen across the west, with talk of tackling the opioid epidemic in New Hampshire, US, and of bettering psychological interventions in Hampshire, UK. But how accessible is evidence-based care? In the first selection, we consider a paper just published on ECT in the United States. Drawing on a massive database, the authors of this Psychiatric Services paper find ECT is used rarely and unevenly. In this Reading, we compare the American data to Canada’s – and draw a similar conclusion. Reading of the Week: ECT and Inpatients – An Underused Tool? July 20, 2017 / David Gratzer / Comments Off on Reading of the Week: ECT and Inpatients – An Underused Tool? It’s a powerful tool that helps people with refractory depression and other illnesses. It’s a treatment that carries a heavy stigma, and is used less today than even a decade ago. Both statements describe electroconvulsive therapy (or ECT) – perhaps the most controversial intervention in psychiatry. And while it has been studied for decades, little work has been done considering the impact of ECT on inpatient readmissions. In this week’s Reading, we look at a new JAMA Psychiatry paper that studies ECT and readmissions. Spoiler alert: the study authors found it decreased readmits. 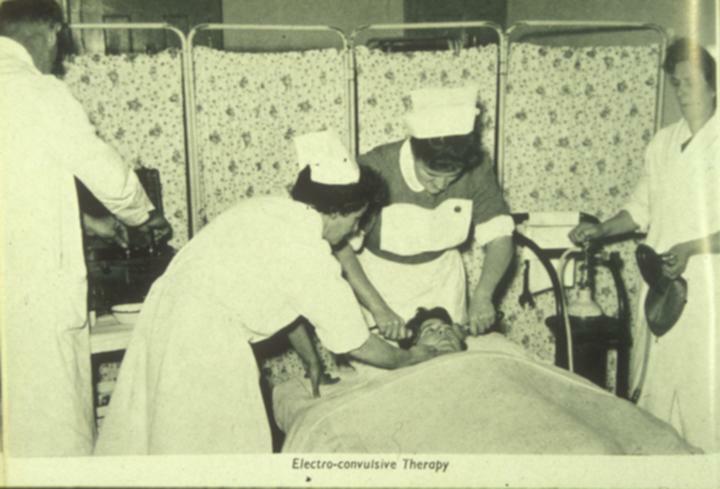 Electroconvulsive therapy at Winwick Hospital in 1957: relevant then as now? The paper begs a larger question: is an important tool in the treatment of those with mental illness being underutilized as newer (and less effective) treatments are chosen?